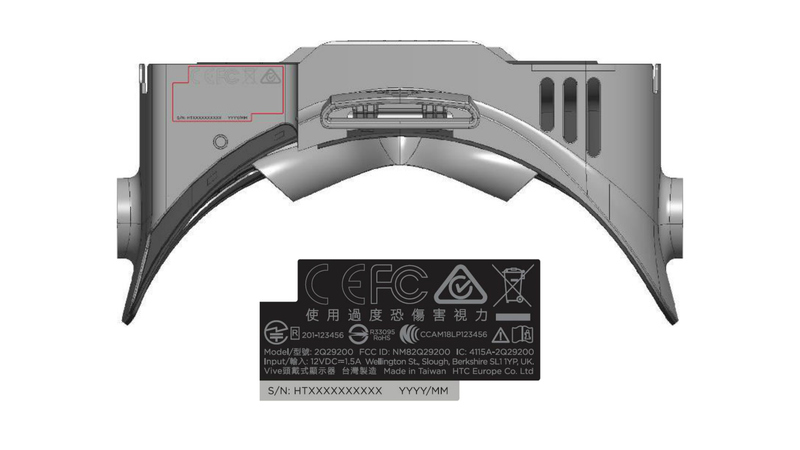 Although the FCC listing makes no mention of Vive Pro Eye by name, we do have a few strong clues to show us that it is indeed the company’s next enterprise-focused offering we’re dealing with here. 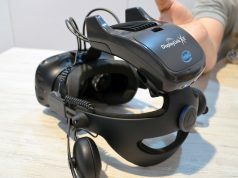 Vive Pro Eye’s unique FCC ID is 2Q29200, while the original Vive Pro is 2Q29100, suggesting that it’s in the same device lineage. Not only that, it’s clear from label diagram that the headset is some species of Vive Pro; the image below matches the original Vive Pro’s label diagram exactly, save a few bits on the label itself. The headset rendering used is exactly the same. This makes sense, considering hardware specs are entirely unchanged from Vive Pro, save for the integration of Tobii eye-tracking, which is poised to seed content creators with a laundry list of cool things like foveated rendering, improved avatars, better app analytics and more. External and internal photos are still under a timed release due to a pretty standard 180-day confidentiality agreement with the FCC. The FCC is tasked with certifying products with electromagnetic emissions to be safe and compatible with regulations. Products utilizing radio, WiFi, infrared, etc. need certification before they can be distributed for sale. Testing by the FCC is typically one of the last stops on the way to launch, which in this case will be targeted at businesses who want to start leveraging eye-tracking in their applications. 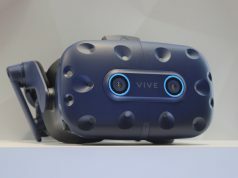 Vive Pro Eye still doesn’t have a definite launch date yet; HTC says it should be out sometime in Q2 of this year. 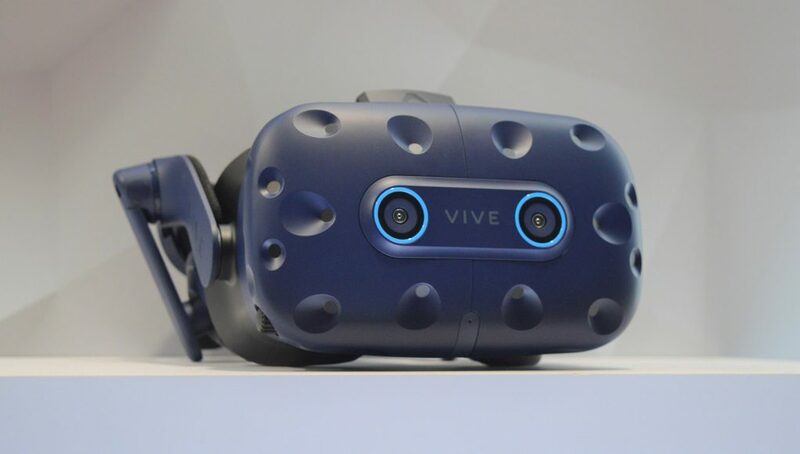 No pricing info is available at this time either, although we imagine it will exceed Vive Pro’s $800 headset-only price tag. Now I just hope other manufacturers follow suit and integrate eye tracking in to their devices as well. Eye tracking is a very important step of the future of VR. So many possibilities! I already have a Vive Pro so I preferably want something with better specs and eye tracking. Come on Valve! I hear this mantra about “eye tracking being indispensable for the future of VR” a lot – but what exactly do you need the eye tracking for? Foveated rendering? Even on Vive Pro you don’t need that to achieve decent performance from the common, medium ground GPUs, assuming the graphics details are set to reasonable levels. And what other uses does a regular user/gamer (not researcher, there it is a different story) have for eye tracking that would justify the very significant extra hw cost? We will absolutely need Foveated Rendering – for high FoV and high resolution HMDs. Vive Pro is neither. At best it’s a proof of concept. But Eye Tracking is crucial for the future of VR. Also eye tracking hardware is not expensive when built in million units. Besides I hit the limit on my Vive Pro all the time because of supersampling. How much would the market pay for a 200% or more increase in graphics performance? People pay $300-$900 to upgrade to the latest video card to only get 10%-30% increase in graphics performance. Foveated rendering in that context is a several thousand dollar value proposition once it works well. loosing my time replying to a troll.. If rendering only 5 percent of the image at full quality thanks to eye tracking (instead of 100 percent with no eye tracking as it is the case right now) doesn’t make you understand how it can achieve huge improvements, I give up on explaining..
For me, it is the ability to use your eyes as the equivalent of a mouse pointer. You could have something like a pen with a 2-way switch to interact with the interface of your conference software, presentation, 3D CAD, Netflix, whatever. Gamers can aim at targets with their eyes, enter a door code by looking at the buttons and activating button press with their controller. I like military flight sims, so would use this sort of function for toggling all sorts of switches. At least it’s nice to know eye tracking is making it’s way on the market, even if it’s only the enterprise segment. I would think these will be at least around 1300 EUR, so definitely out of reach for normal gamers – especially considering the outdated controllers. This is an extremely niche thing even for industrial use. You don’t really need foveated rendering for Vive Pro (most enterprise applications run just fine with regular GPUs on it and stuff like raytracing really nobody cares about in this field) and where eye tracking could be useful – e.g. ergonomics studies or attention tracking where you want to know what is the user looking at are an extremely niche use case even in the industry/research area. 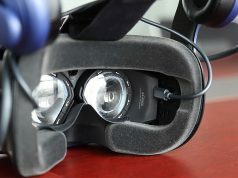 And who needed this likely has an eye tracking system already – various upgrade kits have been available for the popular HMDs before. I am afraid this is a product that will have hard time finding market. BTW, not sure what do you mean by “outdated controllers”. There are no other controllers available for the Vive series. Valve’s “Knuckles” haven’t even been officially announced yet. And the controllers of the other manufacturers aren’t all that much better, maybe with the exception of Oculus’ Touch/upcoming Quest controllers which are a bit more ergonomic compared to Vive’s wands. It just depends on who you ask. The wands, in my opinion, are amazing for tool-based experiences. Holding a sword, pen, brush, gun, ext. It feels so incredibly natural. The Rift’s controllers (and assuming the upcoming Valve Knuckle controllers) are much better suited for mimicking your actual hand. So things like hand based combat (punching type stuff) feel much better with those controllers versus the Vive. I don’t think it’s really fair to call either the Rift/Knuckles nor the Vive Wands “terrible”. They are all super well engineered devices that transform the VR experience. The trackpad is the issue. Add thumbsticks to wands and i’ll be fine. Trackpad keeps breaking and get stuck. I cant play many games because of this. I opened it up couple of times and fixed the rubber thing but it comes back few weeks later. I dont dare opening them again as I know I was lucky so far they still work. Buying new set of the same I just cant sorry. Maybe not for the Vive it self, but for future software you will need to have something in place before your software creators will take use of it. It’s a bit of a chicken and the egg going on here when it comes to eye tracking. There is a lot more use cases for game software that could use the technology for some pretty cool effects as well that you can’t really do with out eye tracking. With that said – it is a bit over kill just to FOVA Vive Pro current res, but it does open the door later as they work out what software works best over a given time. What I mean is – time for oculus would need time to get right when used in a combine way with eye tracking. Sure, you can test this in house no problem, but having it out there helps too to know what might not work for everyone or weird/strange glitches maybe your researchers miss/get used to seeing. 1300 for the headset only yes. The Vive controllers are fine, pkease stop. This is the best-of-the-best, for now. Sorry, can’t count PiMax. A few units out to reviewers and a couple of Kickstarter backers is NOT the same as a real retail release. Their eye tracking is still a vague promise. PiMax has to get serious before they can be taken serious. In terms of the whole VR package? Sure. In terms of visual performance? Varjo leads the pack.